Local woman connects to Jimmy Kimmel's story. Annie McCormick reports during Action News at 11 p.m. on May 2, 2017. 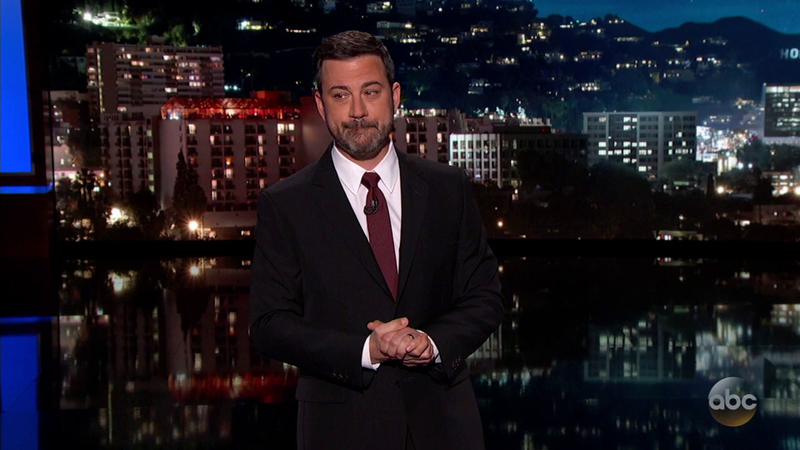 MARLTON, N.J. (WPVI) -- In an emotional monologue by Jimmy Kimmel Monday night, he explained his newborn son William's congenital heart disease. "I have a story to tell about something that happened to our family last week," Kimmel said. Kimmel praised the medical staff for catching it shortly after the baby's birth. "A very attentive nurse at Cedars-Sinai Medical Center, her name is Nanoush, heard a murmur in his heart, which is very common with newborns, and he was a bit purple, which is not common," Kimmel said. On the other side of the screen, Marla Wexler was watching in Marlton, New Jersey. "He said the words "Tetralogy of Fallot" and I dropped my phone because I was so shocked. I started crying," Wexler said. Wexler, 35, knows what the Kimmel family is going through. "I was born with tetralogy of Fallot with pulmonary atresia," Wexler said. During an emotional and heartfelt monologue, Jimmy Kimmel opened up about his new baby boy's birth and health complications. On his show, Kimmel explained the condition. There is a hole in the wall between the right and left sides of the heart. The aorta was misplaced. In addition, the valve allowing oxygen-rich blood to the lungs was blocked. Wexler has endured other health issues. Scars and tattoos mark her experience. She went on to become a nurse at Children's Hospital of Philadelphia, working alongside some of the doctors and nurses who helped her. She also has a blog to spread awareness about her health issues and hopes she can offer hope to families like the Kimmels. "I felt that pain. Just knowing that I can relate to Jimmy Kimmel's kid," Wexler said. The late night TV host also made an impassioned speech about putting aside partisan squabbles to make health care accessible and affordable for all. "I saw a lot of families there, and no parent should ever have to decide if they can afford to save their child's life. It just shouldn't happen," Kimmel said.